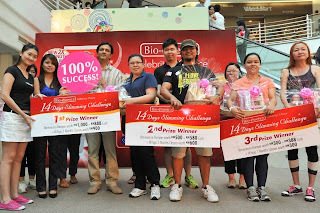 When Bio-Essence calling for all the participants who dare to challenge themselves to join their 14-days slimming challenge, I took the challenge as after giving birth and baby now 8 months old and I'm still fat :(. Lots of clothes couldn't wear and I don't really like to buy new clothes as hard for me to face that I'm so fat now. There are great prizes from Bio-Essence and Myoga for those that manage to lost more inches . 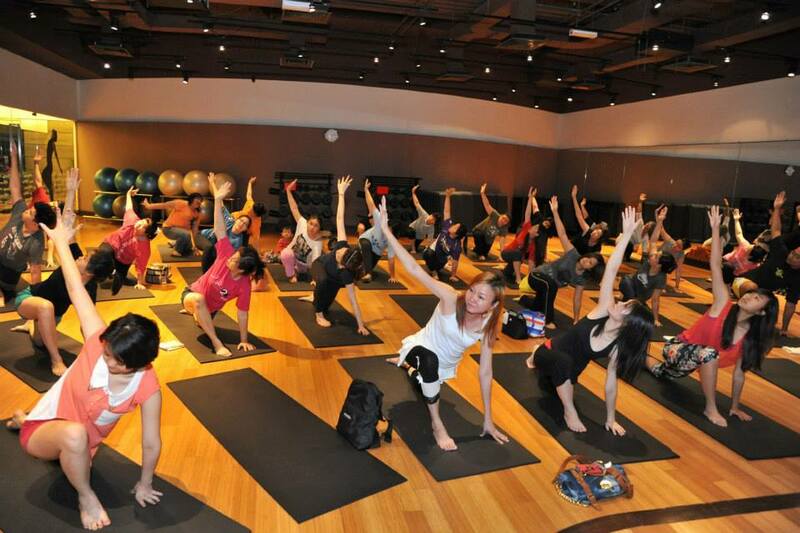 On the first day of the challenge, we had to registered ourselves at Myoga, the Garden, Mid Valley and we were given a pinch of the Shaping Body Cream to put on before we proceed to do some yoga exercise. 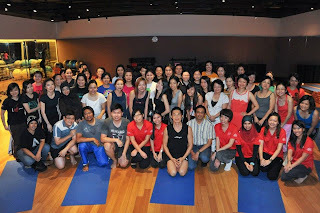 After the exercise, all of us were given a bottle of Shaping Cream worth RM69.90 and a bottle of Scrub worth RM19.90 so that we can apply it at home to see and feel the difference. 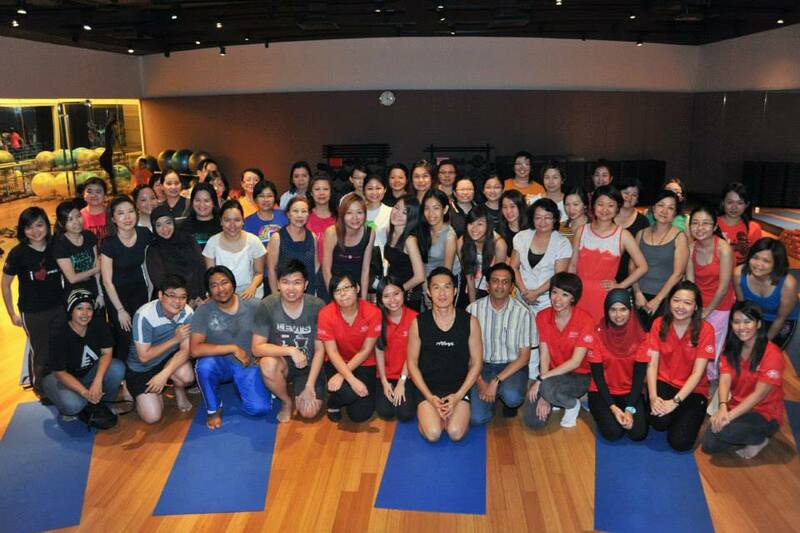 Before we wave each other goodbye, we had a group photo taken with the leng chai instructor. 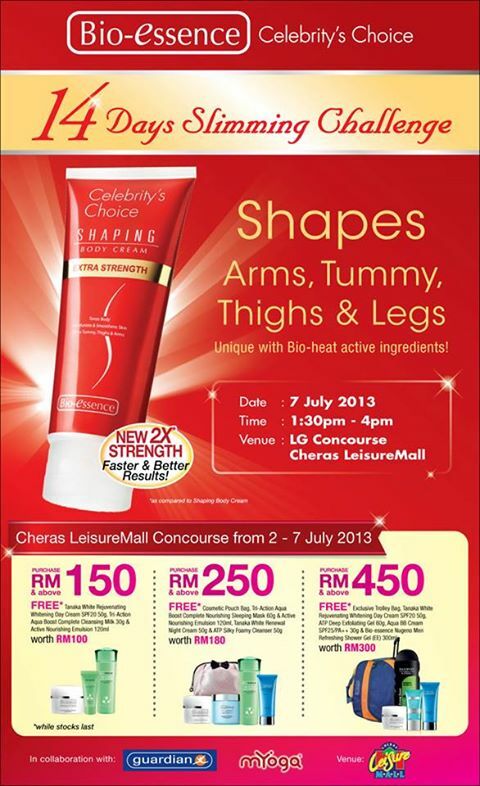 Winners are not announce immediately as we had to go to Cheras Leisure Mall on 7.7.2013 to know the results. Thanks to Bio-Essence for encourage me to slim down myself and try their newly launch Shaping Cream that really works on me and all the participants. My skin looks smoother, whiter and its help for those who had constipation. Thanks to Myoga as I learned some of the exercise movements and the correct techniques to slim down further. 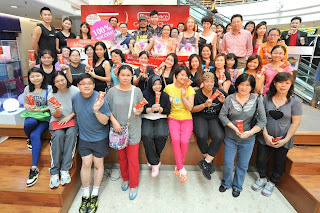 congrats hot mama :D hehe..